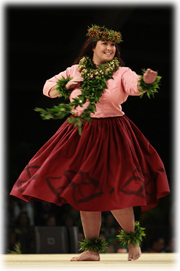 Congratulations to 2012 Miss Aloha Hula Rebecca Lilinoekekapahauomaunakea Sterling of Halau Mohala 'Ilima and Overall Winner Halau I Ka Wekiu (Kane)! 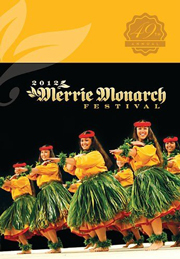 KFVE will broadcast the 49th Annual Merrie Monarch Festival in high definition from Thursday through Saturday, April 12-14, 2012. K5TheHomeTeam.com will also provide live streaming video of the competition each night.